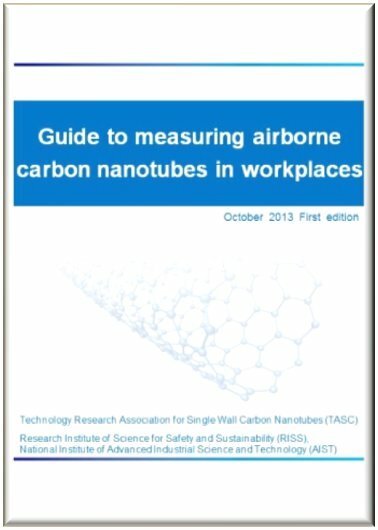 Technology Research Association for Single Wall Carbon Nanotubes (TASC)—a consortium of nine companies and the National Institute of Advanced Industrial Science and Technology (AIST) — is developing voluntary safety management techniques for carbon nanotubes (CNTs) under the project (no. P10024) “Innovative carbon nanotubes composite materials project toward achieving a low-carbon society,” which is sponsored by the New Energy and Industrial Technology Development Organization (NEDO). As a direct result of the project, we have published following two documents as a means of CNT safety management. We hope these documents are helpful with regard to voluntary safety management of CNTs. 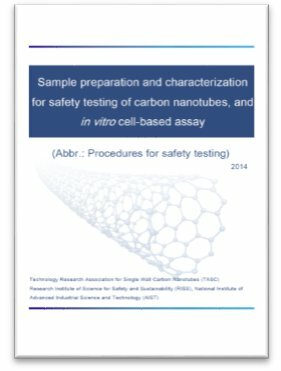 This document provides procedures for simple and rapid safety evaluations of in vitro cell-based assay, so that business operators handling CNTs can autonomously implement safety management. The object is to assess the effects on the health—especially regarding the respiratory systems—of workers who might be exposed by inhalation inside facilities for carbon nanotube manufacturing or of those who are involved in their processing. The features of the test method are as follows. (1) Prepare a stable and homogeneous dispersion liquid of the test material, and measure its dispersion conditions and properties in this liquid. (2) Measure dispersion conditions and properties of the test material added to a cell culture medium, as well as changes in medium components. (3) Determine the effects of the test material on the cells—i.e., extract the biomarker (the endpoints) and select a test method for this biomarker that minimizes interference from the test material. Note that results obtained by adherence to this procedure are for an assessment of the effects of CNTs on the respiratory system. This procedure cannot guarantee the safety of all of them. This document is a guide to measuring airborne CNTs in workplaces, as a means of CNT safety management. 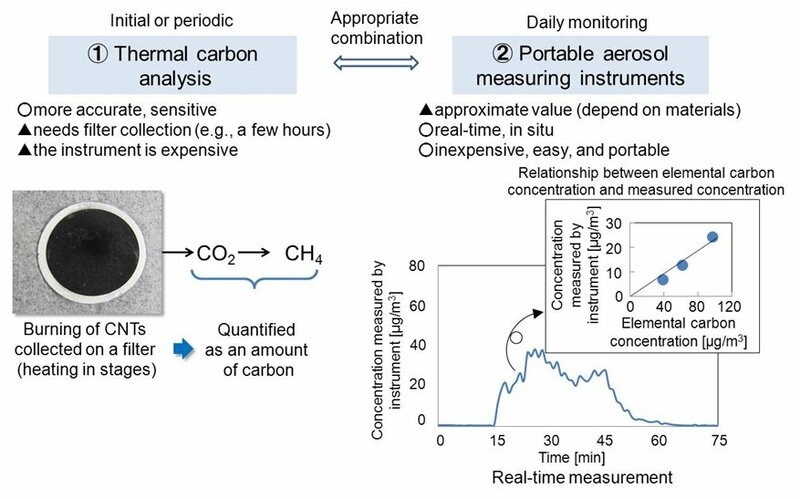 This guide summarizes the available practical methods for measuring airborne CNTs: (1) on-line aerosol measurement, (2) off-line quantitative analysis (e.g., thermal carbon analysis), and (3) sample collection for electron microscope observation, and also presents measurement cases performed by TASC. Documents produced under the former NEDO project (no. P06041) “Research and Development of Nanoparticle Characterization Methods” are here.